to Transform Your Work, Your Publishing Path…and You! Your Ideas – Up-to-the-minute insights on how to develop, refine, package, and elevate your concepts, as well as proven ways to share, pitch, and publish your message in the best ways possible for you. Your Relationships – The art and science behind making connections with the right individuals, groups, and media to help you build your platform and spread your message. Your Strategies – Launch and business models that truly lead to the results you desire, including engaged readers and clients, book sales, a loyal following, and making a difference in the world. When you dive into Book Breakthrough, you’ll gain fresh, powerful, real-world strategies on what’s working right now for “regular” as well as bestselling authors, experts, and thought leaders. This online course recreates the live Book Breakthrough experience with the energy and proven results experienced by previous live and simulcast attendees – all in a convenient and immediately accessible home-study format. All the core content from the original live programs is included in the course. Approximately 12 hours of video master class modules. When you register, you’ll have immediate access to all the key content, lectures, and panel discussions with Janet and Elizabeth and our guest experts. These video lessons are available 24/7, so you can watch them whenever it’s convenient for you! Four Recorded Master Class Coaching and Q&A Sessions with Janet and Elizabeth. In these recorded sessions, hear Janet and Elizabeth offer feedback and direction on how to apply the Book Breakthrough core teachings to your message and work. These sessions will reinforce concepts, add examples, answer questions, and offer select real-time coaching that everyone listening to the recording can learn from. In addition, you’ll gain invaluable advice from featured special guests, including bestselling authors and select client case studies to help you catalyze your own breakthrough. 24/7 Access to All Course Materials. Although we recommend that you go through the Book Breakthrough On-Demand Course in sequence, we also know that you may want to “jump ahead” to the video lesson, worksheet or step that most fits your current stage and goals. When you register, you’ll get immediate access to the entire course so that you can start right away – and access any lesson and any time. Dedicated Book Breakthrough Resource Page. All the essential elements and directions you need for the course, including handouts, recommended resources, and select articles can be found in the dedicated Book Breakthrough Course Community. Once you register, you’ll also receive periodic emails to help you make the most of the course. Participating in this On-Demand Course is fun, super easy, and requires no special technology or technical savvy. If you have an up-to-date computer or iPad you will have what you need. In this first module, we will help you understand the truth behind great ideas and and books and how you can apply these lessons to unearth the most compelling version of your message as possible. We’ll immerse you in the “New Rules” of publishing and share the most current and achievable publishing breakthroughs that are waiting for you. Understand how to create a complete concept, package, and positioning for your idea so that it resonates and sells, instead of remaining incomplete or languishing without an audience. Explore and identify the best publishing path for your work—indie, boutique, or “Big 6”; PDF, print-on-demand, digital, or combined; full-length, “single,” or manifesto. Answer the 3 Questions: Why Me? Why Now? Why This Book (or Project)? and understand how sticky language, beta testing, and point of view are essential to standing out. Gain incredible insights and answers from our Expert Publishing Panel Discussion. You’ll meet top publishing pros—NYC editors and literary agents on the cutting edge–who will share the ins and outs of what authors need to thrive today, including hot-button topics like “platform,” “pitching,” and proposals, e-books and apps. In the second module, we’ll dive deep into the heart and soul of your marketing platform and ways to develop the relationships, community, supporters, and partners who are essential to getting your books and ideas out into the world. You’ll understand that “marketing,” especially when it comes to ideas, is all about people – the right people for you and your message. Proven ways to connect with influential thought leaders, experts, centers of influence, strategic partners, and organizations to create awareness, excitement, and a loyal following for your work. Specific steps and case studies to actually discover “where you belong,” what your right audience is, and ways to “go public” and “seed” your work right away with fans and followers– before you publish your first (or next) book. A powerful tool—the Dream Team map—to help reach your greatest potential for readers and business growth. Need-to-know promotion and book-selling models working for authors of all publishing paths, including trends, and tips around Amazon opportunities, online marketing methods, social media practices, and cutting-edge expertise from our Marketing & Sales Panel guests. In the third module, you’ll learn the 4 simple but powerful business models behind successful publishing and idea-driven businesses. You’ll discover how to pull all the pieces together and exponentially increase your ability not only to succeed as an author, but to make a lasting impact with your work. Align your core idea and message with your overall business, including how to integrate your book into your larger purpose, business, and goals– the missing link that most authors don’t learn about or understand. Share your ideas in innovative and profitable ways RIGHT AWAY– through story-telling, teaching, blogging, speaking and more. Balance both the immediate and long views of your work for ease, clarity, including the fastest, most effective routes to sharing your writing, gifts, and expertise. Implement your take-aways, shifts, and big “ahas” with an Action Plan that is clear, inspiring, and doable—a significant send-off, indeed! After you’ve completed Modules 1-3, it’s time to integrate and implement! This final working Module is designed so you review what you’ve learned and apply the lessons for your own tangible breakthroughs with your ideas, relationships, and strategy while they are fresh in your mind. 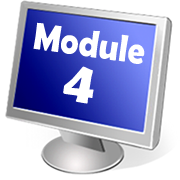 Although Module 4 doesn’t include any teachings, you’ll have access to the final Master Class and Q&A call to solidify your learning and to support you in taking action. When you invest in this highly affordable and accessible Book Breakthrough On-Demand course, you’ll come away with powerful new strategies, guidance, inspiration, community, and the clarity and confidence you need to move forward immediately with your message and publishing goals. Register Now for Best Pricing! Click on the Register Button below and get immediate access to the course with one easy payment of $247 $197. 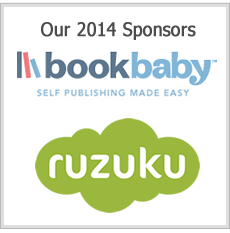 Want to know more about us and the authors and clients we’ve worked with? Click here to get to know us and some of our most well-known authors and projects.